Database Systems Corp. is a leading provider of computer telephony solutions including phone systems and call center software. DSC has integrated Dialogic telephony boards in its phone systems and employs these CTI boards in its own call centers. 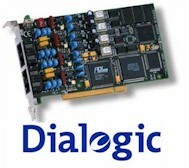 Dialogic Corporation is a leading provider of computer telephony boards that process voice and data information. DSC has integrated this technology in its phone systems and has developed software that provides call processing solutions for commercial and government organizations. DSC phone technology can answer inbound phone calls using interactive voice response (IVR) software that answers calls without an operator. Calls can be processed completely using this service or we can route these calls to your operators or service representatives. DSC likewise provides voice broadcasting solutions that deliver recorded phone messages to community members, clients, and employees to announce events or emergency situations. DSC can also deliver call processing services quickly -- providing you with a competitive advantage in the marketplace. From external database access to web integration including XML messaging, DSC can develop your call handling applications in a short period of time. Contact DSC to learn more about our Dialogic based phone systems and software. Database Systems Corp. was selected by The American Red Cross to provide our WIZARD phone system (with integrated Dialogic boards) for it's community and employee notification requirements. The American Red Cross uses this system to send recorded messages to employees and emergency response personnel during a disaster. Using our inbound IVR included with this voice broadcast system, American Red Cross personnel can record messages over the phone and transmit these messages to selected groups. DSC has developed several phone systems that integrate Dialogic boards. This modern call center phone system includes a Windows PC with computer telephony boards from Dialogic. When combined with our comprehensive call center software, these phone systems can perform both inbound call distribution as well as outbound message broadcasting campaigns. The WIZARD system is our entry level call center phone system that supports up to 48 analog phone lines. This system supports Dialogic analog telephony boards. If your call center requires more lines to process inbound and outbound calls, our PACER call center phone system can be used to process calls using hundreds of digital phone lines. This system utilizes Dialogic digital T1 telephony cards. Database Systems Corp. has developed a complete line of software solutions that integrate with Dialogic computer telephony cards. This software is provided to clients as an integrated solution included with the PACER and WIZARD phone systems. DSC also provides software only solutions to clients who have their own Dialogic telephony board systems. The following are several of the software solutions provided by DSC. Interactive voice response (IVR) is a technology that automates the personal interaction of telephone callers with a computer phone system. DSC Dialogic IVR software and phone systems use voice recorded prompts and menus to present information to callers. Touch-tone telephone keypad entries are gathered from the caller to collect information and to provide navigation through simple to complex IVR menu structures. Computer telephony software from DSC is a robust set of library routines that communicate with Dialogic telephony boards. These functions enable your application programs to communicate with DSC phone systems. This Dialogic based computer telephony software library increases development staff productivity while enhancing your business relationships and reducing costs. This increased productivity is achieved by combining the capabilities of your phone system with the custom functionality of your Windows, Unix or Web applications. The PACER and WIZARD voice broadcasting systems include software for the management of message broadcast campaigns and applications. DSC provides voice broadcasting software that is integrated with Dialogic telephony boards. DSC software provides a step by step approach to developing Dialogic voice broadcast programs. 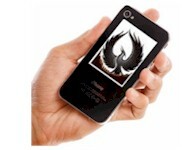 Outbound phone campaigns can be designed and programmed quickly. Simply record your phone messages, assemble your list of individuals to be called and fill in the blanks using our VB Wizard. Database Systems Corp. has developed a number of IVR and voice broadcasting applications that run on systems containing Dialogic computer telephony boards. The DSC professional staff of IVR and voice broadcast programmers can analyze your phone application and develop it to your specification. Custom IVR solutions can be designed to answer your calls according to your business model. To view a partial list of some of these Dialogic based calling solutions, please visit the phone applications webpage. Dialogic is a registered trademark of Dialogic Corporation. Contact DSC for a FREE analysis and quote and to learn more about our use of Dialogic technology in our products and services.